The Best in Mobile Banking. 24/7. 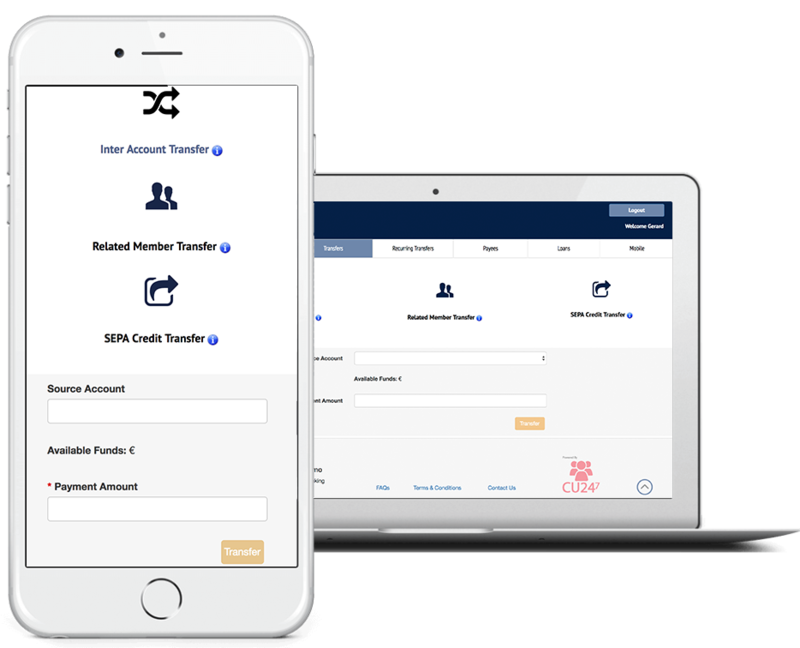 Our secure cloud based software allows your members to access and carry out transactions no matter where they are on the planet. "Our mission is to enable community organisations to provide the highest levels of member satisfaction through the clever use of technology, irrespective of size and resources." Save time and increase efficiency. All paper based credit unions are wasting time and money on inefficient processes, Not being responsive enough to the increasingly more dynamic needs of members, Being swamped by paperwork. We solve this by using smart technologies. Access your account anywhere, anytime on any device. Our back end systems use the highest grade security. You can use in app communication to stay in touch with your members. We are not limited by borders. We support cross border and SEPA payments. Eliminating waste and helping your organisation run more efficiently. Omni-channel access for your customers. Our software is available on phones, tablets and desktops. Anywhere, anytime. We pride ourselves in being a very proactive credit union, we look outside the box, cu247 is a vital part of this, helping us to be inclusive to all members.